Eclipse Champion two-year-old, the best at that age by Unbridled’s Song and, like him, a record-breaking Breeders’ Cup Juvenile winner. 15% Black Type horses from starters – better than three-quarters of the stallions in Kentucky. They include 11-time Stakes winner Lady Shipman, G2 winner Princess Warrior, and G3 winners Dearest and Sassy Sienna. His 15% Black Type horses from starters is better than three-quarters of the stallions in Kentucky. By UNBRIDLED’S SONG (1993) Breeders’ Cup Juvenile (G1), Florida Derby (G1), etc. 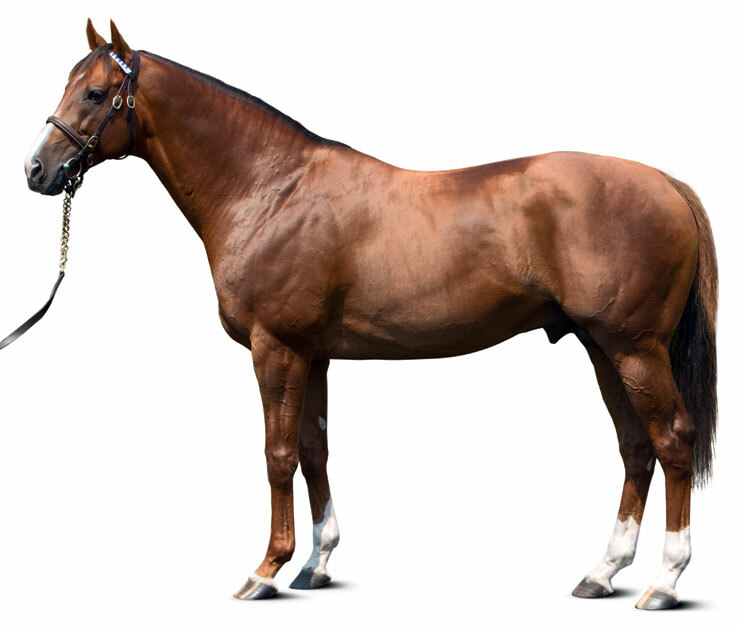 Sire of 1,700 foals aged three and up, including MIDSHIPMAN, ARROGATE, BUDDHA, CROSS TRAFFIC, EMCEE, FIRST DEFENCE, FOREVER UNBRIDLED, GRAYDAR, LIAM’S MAP, MAGNIFICENT SONG, MARYLEBONE, OCTAVE, POLITICAL FORCE, SONGANDAPRAYER, SPLENDID BLENDED, TARA’S TANGO, THORN SONG, UNBRIDLED ELAINE, UNBRIDLED FOREVER, UNRIVALED BELLE, WILL TAKE CHARGE, ZENSATIONAL, EIGHT BELLES, etc. 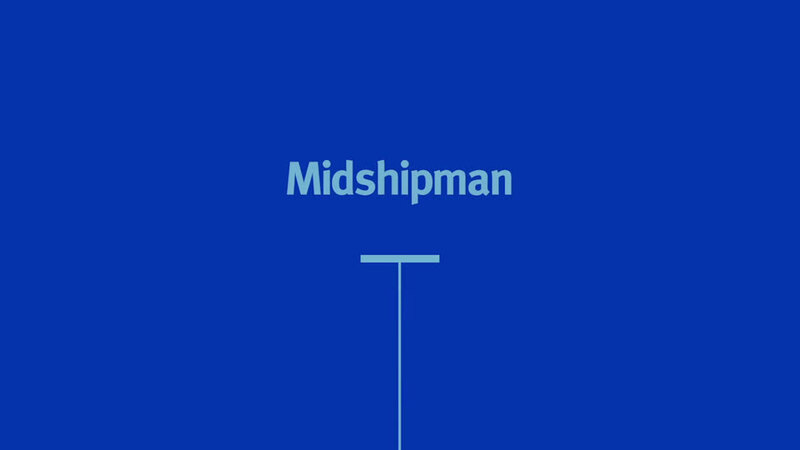 MIDSHIPMAN (c Unbridled’s Song) Eclipse Champion two-year-old colt, 5 wins (5½f-8½f), 2 to 4, Breeders’ Cup Juvenile (G1), Del Mar Futurity (G1), 2nd Norfolk S (G1), 3rd Breeders’ Cup Dirt Mile (G1). FROSTED (c Tapit) Metropolitan H (G1), Whitney S (G1), Wood Memorial S (G1), Pennsylvania Derby (G2), 2nd Belmont S (G1), 3rd Travers S (G1). Sire. INDULGENT (f Bernardini) Go for Wand H (G3), 2nd Distaff H (G3). 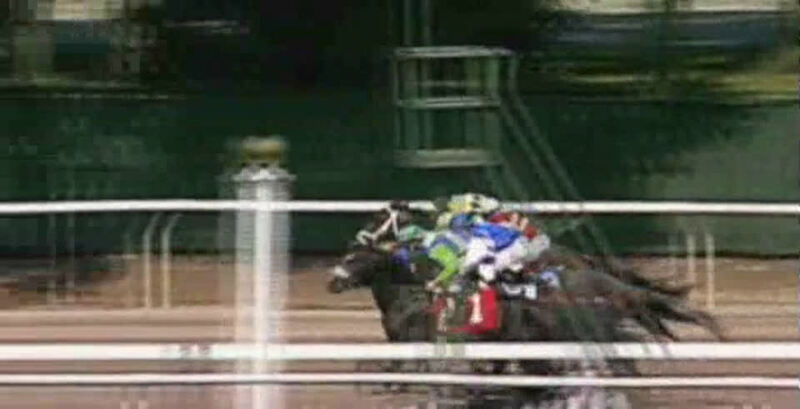 REGIA MARINA (f Medaglia d’Oro) 4 wins (6f-6½f ) at 4, Mahoning Distaff S, 3rd Seaway S (G3). Fleet And Fancy (f Touch Gold) Placed at 2. Dam of: Addison Run (f Unbridled’s Song) 3rd Geisha S.
RUNNING TALL (c Stratum) VRC Sires’ Produce S (G2), 2nd Blue Diamond Prelude (G3). Solomini (c Curlin) 2nd FrontRunner S (G1), Rebel S (G2), 3rd Los Alamitos Cash Call Futurity (G1), Arkansas Derby (G1), Affirmed S (G3). SALSE (c Topsider) Champion three-year-old in France, Prix de la Foret (G1), Challenge S (G2). Sire. 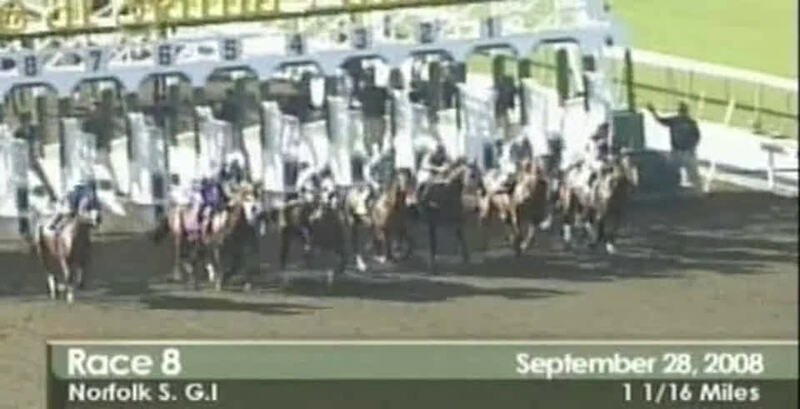 Breeders' Cup Juvenile (G1), 8½f, Santa Anita, beating Square Eddie, Street Hero, Terrain, Pioneer of The Nile, West Side Bernie, Gallant Son, Silent Valor, Azul Leon, Munnings, Bushranger, Mine That Bird. Del Mar Futurity (G1), 7f, Del Mar, beating Coronet Of A Baron, Street Hero, Southern Exchange, Believe In Hope, Kelly Leak. Maiden race, 5½f, Del Mar, beating Street Hero. Norfolk S (G1), 8½f, Santa Anita, to Street Hero, beating Believe In Hope, Silent Valor, Azul Leon, Regal Ransom. 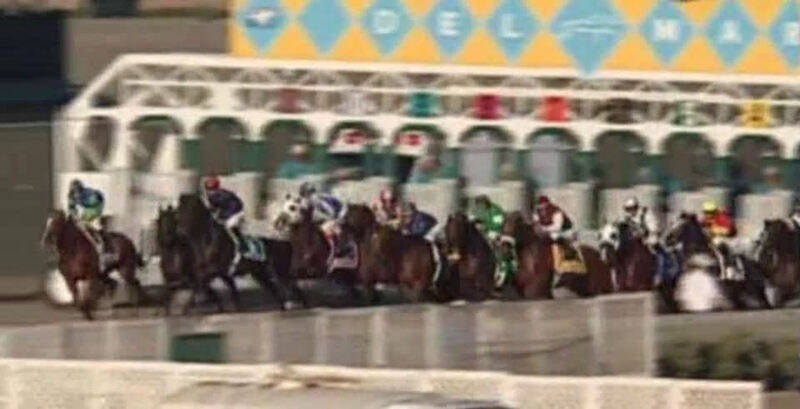 Allowance race, 6½f, Belmont Park, by 3¼l, beating More Than A Reason, Storm Play. Breeders' Cup Dirt Mile (G1), 8f, Santa Anita, to Furthest Land, Ready's Echo, beating Mastercraftsman, Mambo Meister, Neko Bay, Mr. Sidney, Chocolate Candy, Bullsbay, Pyro. 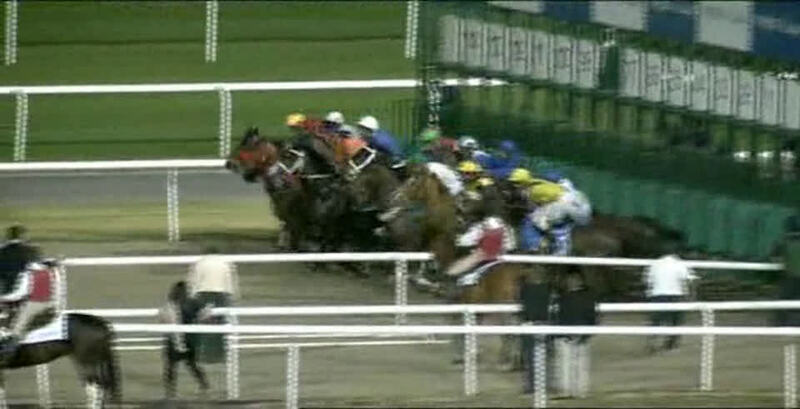 Conditions race, 7f, Meydan, by 3¼l, beating Asset, Laa Rayb, Opera Comica, Lovelace, Digital, Olympic Election.